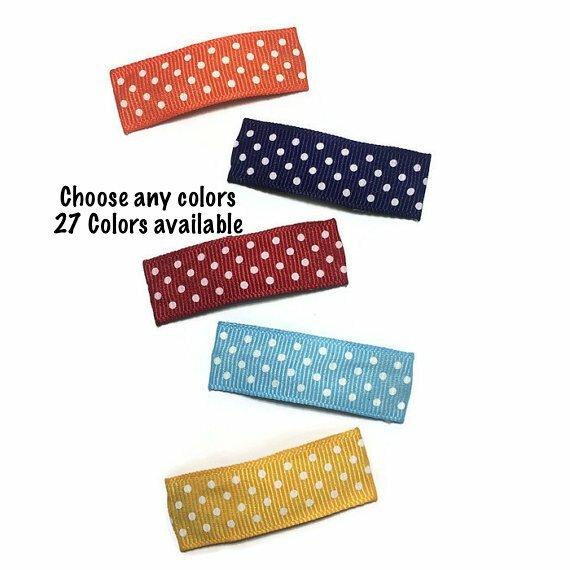 Dot ribbon lined 2″ snap clips in your choice of colors. 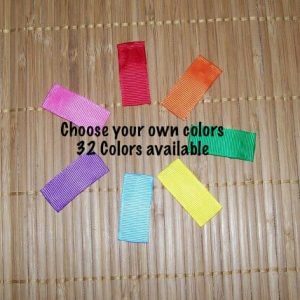 Please include color selections during checkout. 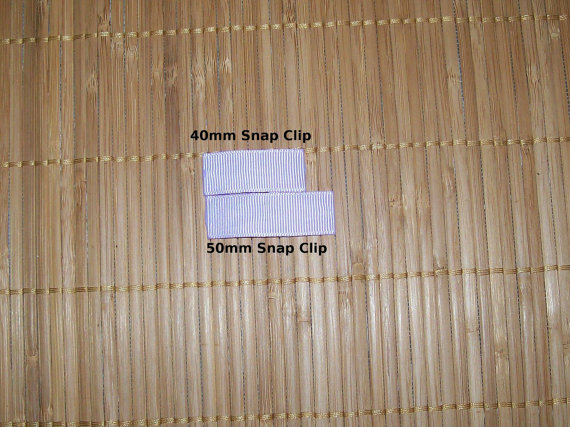 Dot lined 50mm snap clips measure approx. 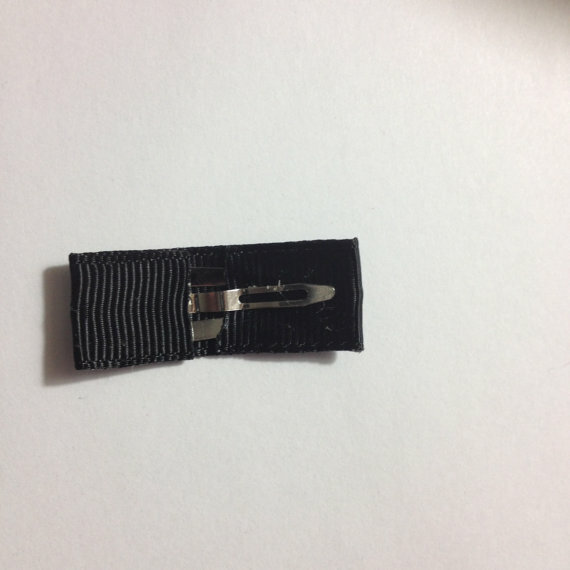 2 inches long and 5/8″ wide. 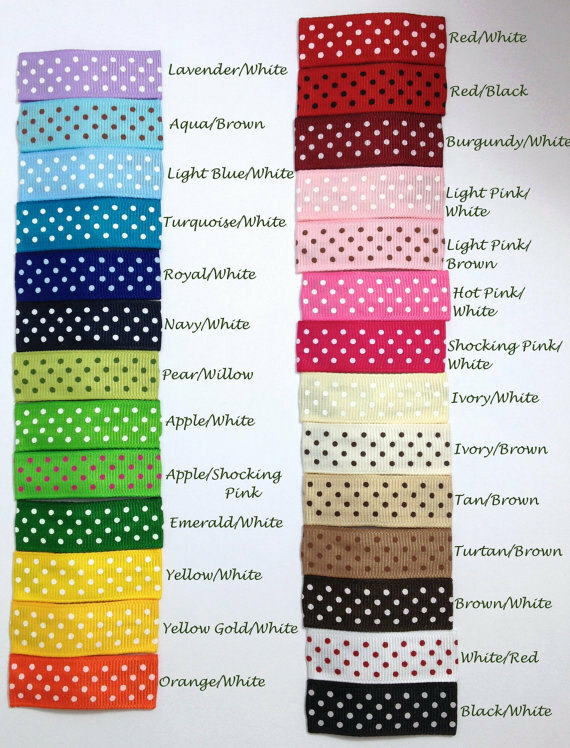 I line each clip with dot ribbon in your choice of colors.